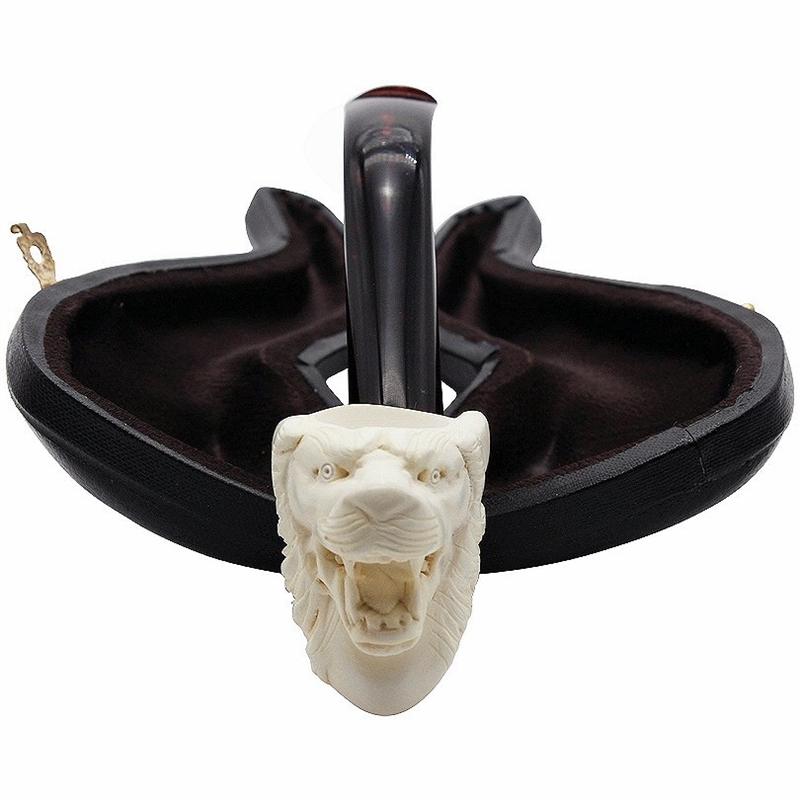 Hand Carved Tiger Meerschaum Pipe - Tiger with a snarling face is almost an oom paul style. The bent stem is dark and translucent. 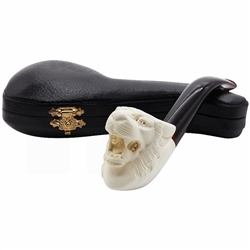 It is a striking contract to the white meerschaum.